Microsoft OneNote is a note taking application that always comes with MS-Office suite. 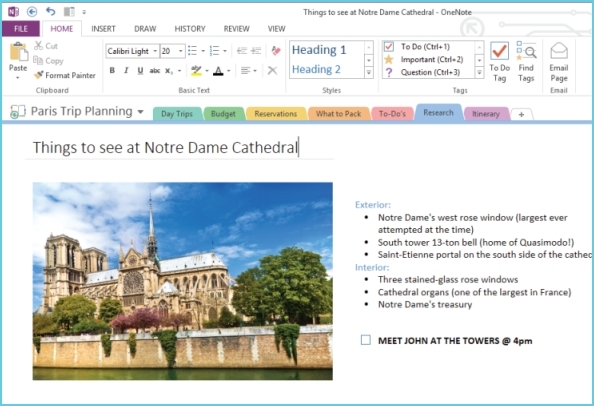 Microsoft now separated OneNote application from office pack and made free for the Windows desktop version. It also released Mac OS version and OneNote is now available on all platforms including PC, Mac, Windows Phone, iPhone, Android and the Web. Microsoft OneNote comes with many new features and provides a cloud API that enables any application to connect to it. So you can capture ideas, informations from more applications and you can access from any device. 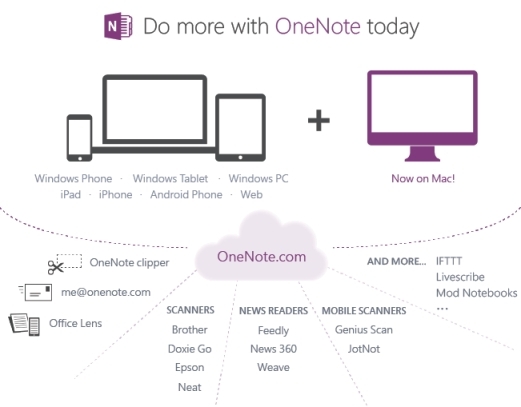 Microsoft now comes with full featured services that will surely compete with other note taking apps like Evernote. The free version designed for personal and school use, it’s totally ad-free one. And there is also paid version for Office 365 and Office 2013 customers, the paid version have premium features like SharePoint support, version history, Outlook integration and more. OneNote free version contains all the core options and your data synced to all devices, so you can access from your phone or tablet too. You can use your 7 GB cloud storage offered by Microsoft OneDrive.